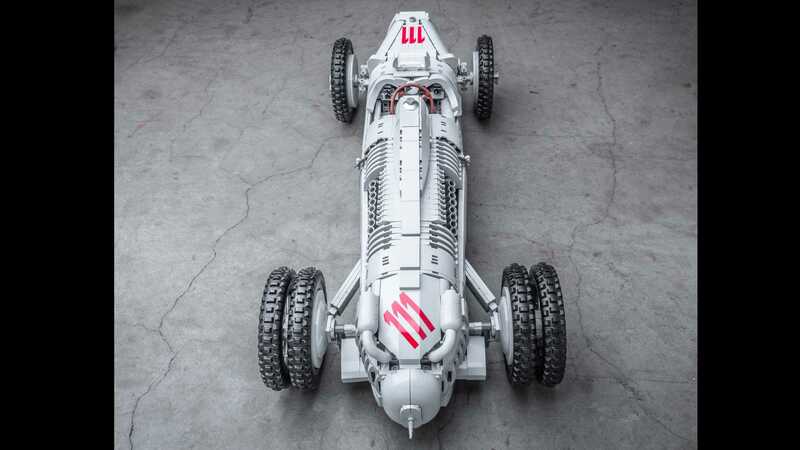 Lego Technic has been sending model car fans wild in recent months by launching scale models of some of the industry’s most beloved vehicles. From the Corvette ZR1 to the Porsche 911 GT3 RS, Bugatti Chiron, and Aston Martin DB5, we thought we’d seen it all. We were wrong. Much to our surprise, it’s actually possible to use the parts provided in the kits to build things other than the car advertised on the box. 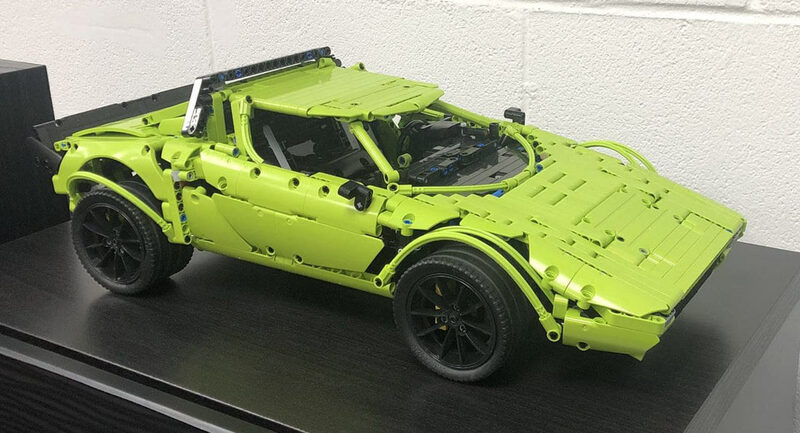 One enthusiast has done just that with the 911 GT3 RS kit, creating his very own scale model of the Lancia Stratos. That man is Twitter user Ashley Winston and the creation is exceptional, particularly when you consider that he built this Stratos using 911 GT3 RS parts and without any instructions. This scale model is a 1974 Stratos Stradale HF and building it requires no less than 2197 parts. 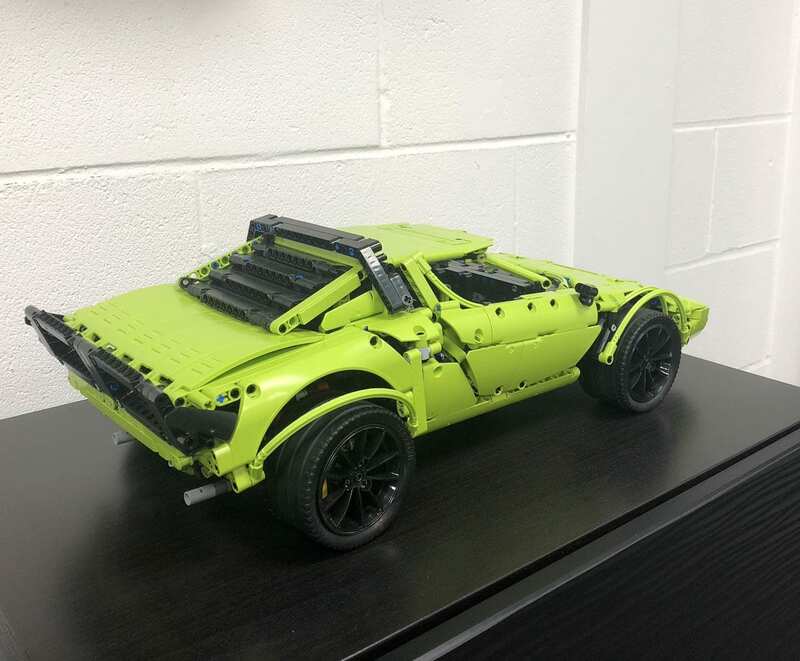 All of the parts come straight from the 911 GT3 RS kit, with the only optional being a Technic Driving Ring Extension that enables a reverse gear. 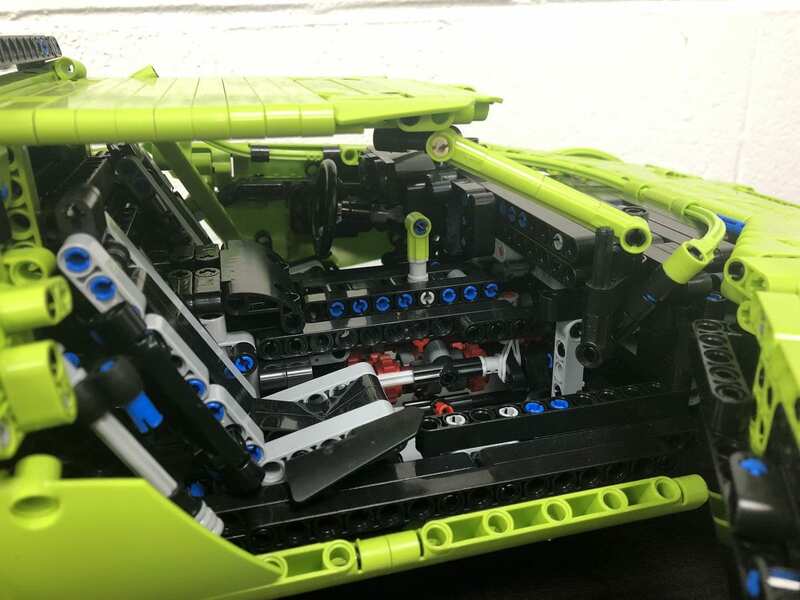 Winston was kind enough to document the entire build of the tiny Stratos in 598 (!) steps and is selling the instructions for $17 in a book with 193 pages. 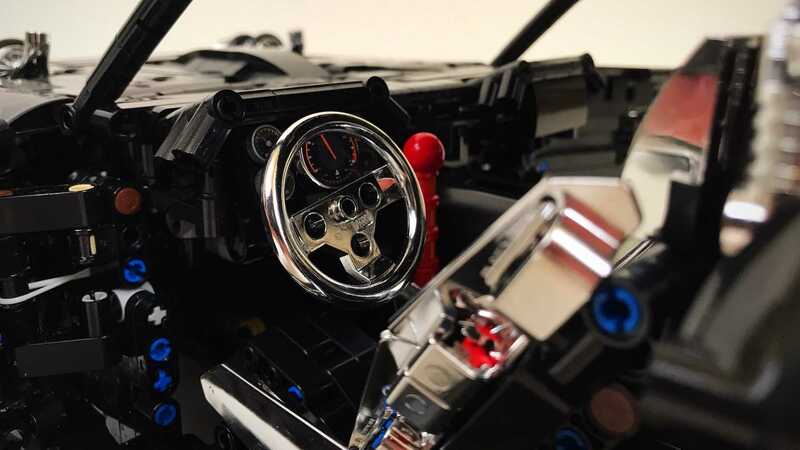 We imagine building the car takes a lot of time and patience, but the finished product is probably even more impressive than Lego’s own GT3 RS and even includes an interior with racing seats and a steering wheel. The only giveaway of the Stratos using 911 parts are the GT3 RS wheels, but we guess you can swap them out for something closer to the original if you so wish. Bravo! This Stratos looks even better than the 911! Anyone getting the gorgeous-looking Mustang? Wow. I think I might need to get that Mustang and stash it away for WagonJr to put together in a few years. Sorry I just saw this comment! I just finished bag 7 which builds the drivetrain, battery, and motor assembly then joins it to the bucket line and then joins that to the main structure. The gearing and clutch mechanisms on this thing are a LOT of fun to build. Since I just have one bag left, I'll take pics when I'm done with it this week. I ordered the Mustang kit last night. But there was an "error" at checkout. So I tried again and got another "error". I was in the process of trying a third time when I got email confirmation of the first order. Checked my profile and it showed two orders pending. No way to cancel order from my profile. Got on chat with Customer Service, 5th in line. Orders went from "Pending" to "At Warehouse"
2nd... On chat with CS, "Sorry, we can't cancel the order since it's at the warehouse being picked for shipment"
Guess I've got two kits. Was planning to save it for WagonJr when he's much older and can appreciate and display the model rather than build and destroy it. Now I need to figure out if I try to send back the second one, keep it for myself, or hold it and hope they sell out and I can flip it for a little profit in the short term. I'll do $50 and cover shipping. Just not to any of you jokers. 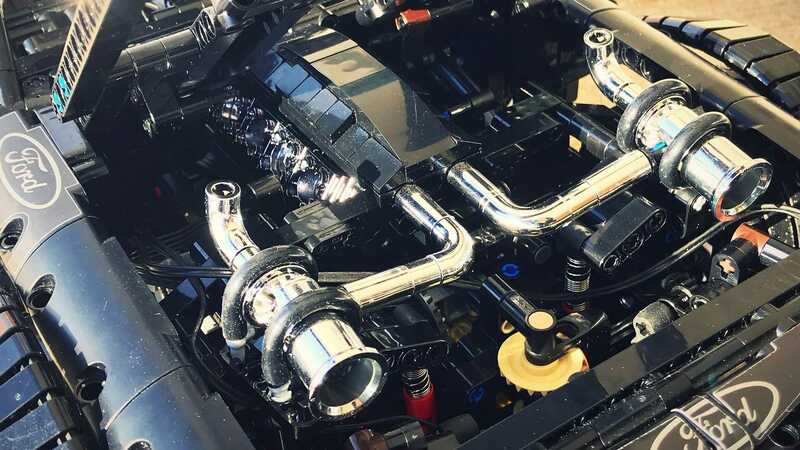 Just recently, Head Hoonigan In Charge Ken Block dropped a strange-looking picture of his Hoonicorn Mustang on Facebook. Turns out the car was actually a Lego recreation, and a quite good one at that. It’s not one of the bonkers full-size creations we’ve seen recently, like the McLaren Senna or VW T2 Camper Van. This one is better, because it’s something we can actually build – and drive – for ourselves. 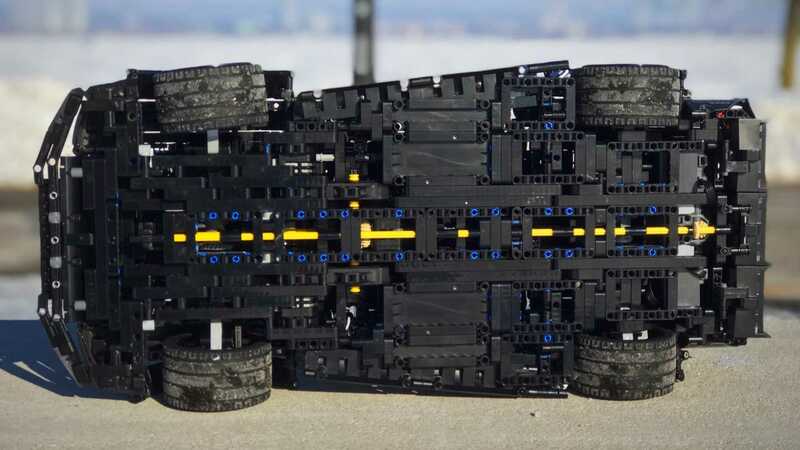 Being fans of Block’s tire-slaying antics and certified Lego nerds we were compelled to learn more about this custom creation, so we shot a message to the mastermind behind this project, Lachlan Cameron. Yes, this is straight-up a 100 percent Lego build with no custom parts created, though Cameron did say it has quite a few chromed pieces. It’s a My Own Creation (MOC) Technic project that, aside from looking fantastic, is also radio controlled with WiFi-enabled controls through a smartphone. It’s designed to run on a couple different types of motors, and Cameron spent a significant amount of time creating a detailed suspension setup with front and rear differentials to give it some realistic motion. The gear shifter inside the car even moves, and speaking of which, check out the interior detail. The doors and trunk open, as does the hood where a V8 engine resides compete with moving pistons. The only thing missing from this build is a set of bald, smoking tires. 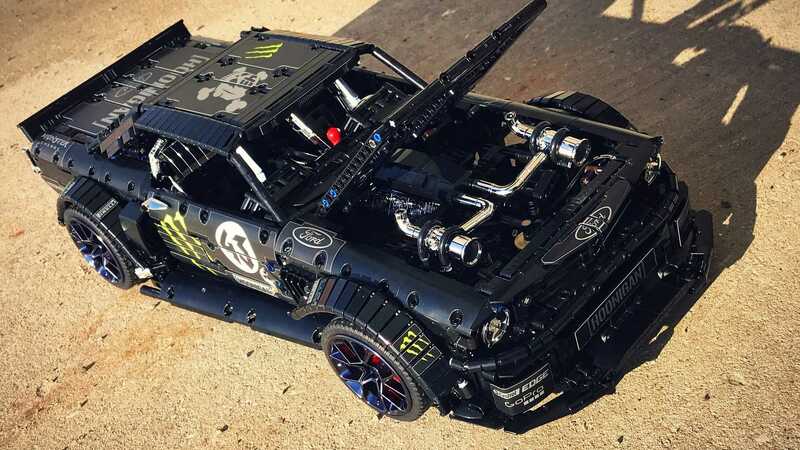 Cameron was kind enough to let us post some of his photos on the Lego Hoonicorn, but you have to jump over to his site at Rebrickable.com to see just what all went into this car. Cameron’s been building custom Lego projects for three years, with designs like this mental Mustang taking between 1-3 months to complete. And the best part? 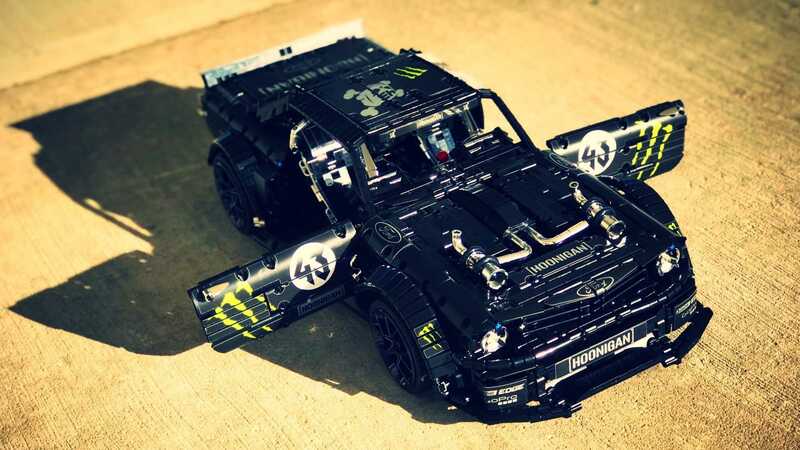 Even though this isn’t available as a kit, Cameron has instructions and a parts list available for those interested in having a Lego Hoonicorn of their own. 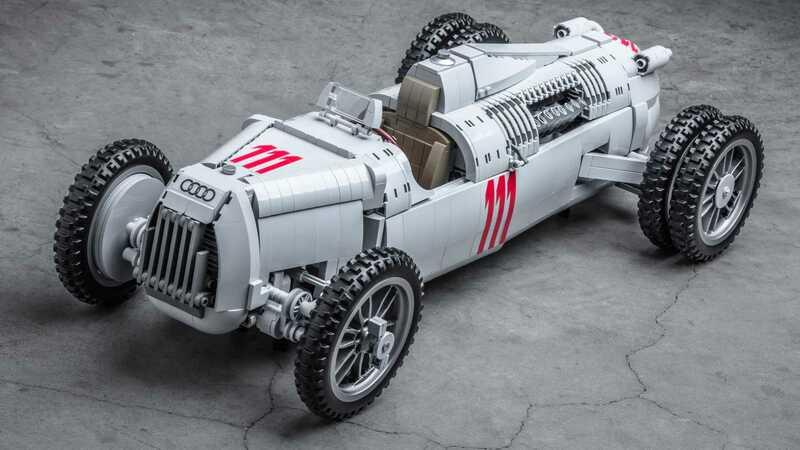 This 1:8 scale build faithfully recreates the iconic 1930's V16 racer, and we want one. Regular Motor1.com readers know how much we love Lego. There are some exceptional kits out there, but we’re constantly impressed by fan creations that show up in Lego Ideas. This one, however, has us absolutely blown away with the fit, finish, and especially the detail. It’s simply gorgeous from every angle, and we’d buy this in a heartbeat if Lego were to put it into production. You can help make that happen, which we’ll talk more about in a bit. 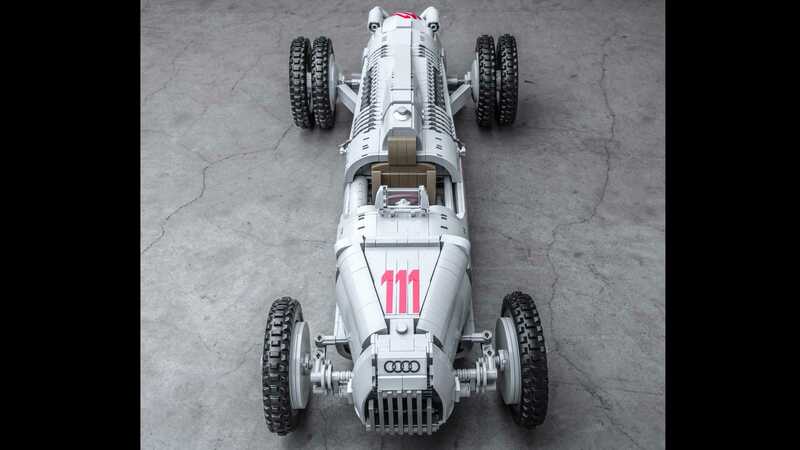 For those not familiar with this silver bullet, it’s an Auto Union Type C race car from the 1930s. Auto Union racers were the first to wear Audi’s now-iconic four-ring badge, and the Type C wasn’t hurting for power thanks to its mid-mounted 6.0-liter supercharged V16 that produced no less than 520 horsepower (388 kilowatts). 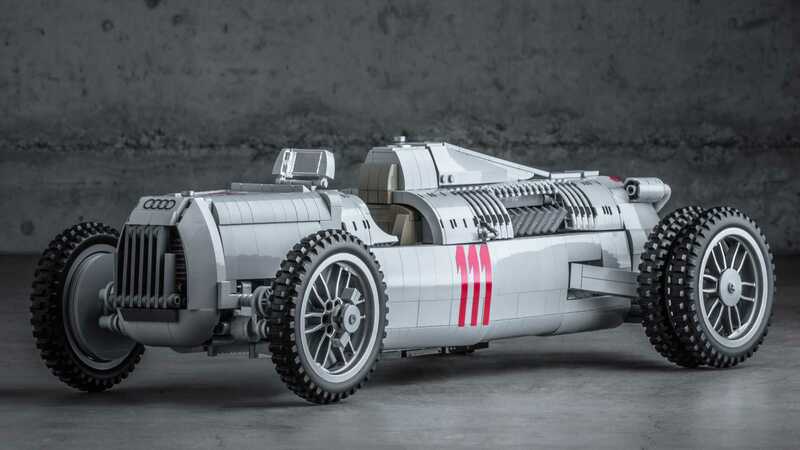 Mind you, this was back in 1936 when most roads were still dirt, and cars with 100 horsepower were something special.This Lego version certainly does justice to the famous race car. It’s faithfully recreated here in 1:8 scale, including a detailed cockpit and removable engine cover with the big V16 underneath. The replica was designed and built by Alexandre Rossier, and in an email to Motor1.com he said the project took 50 hours to complete. 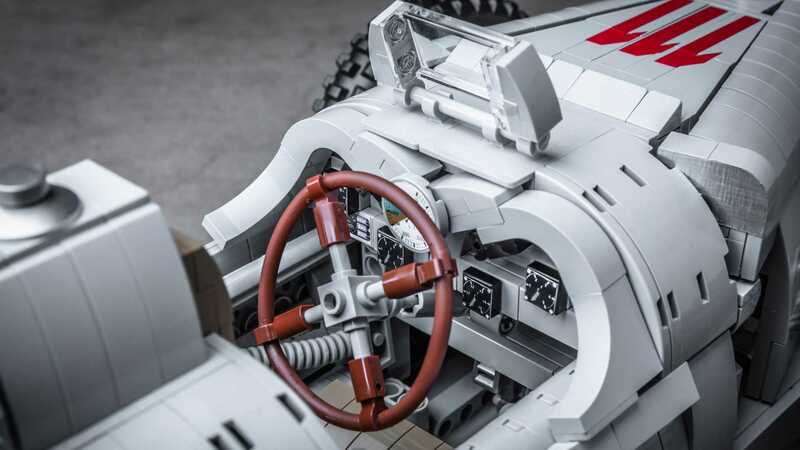 It’s comprised of 2,300 bricks, and features removable body panels to reveal even more detailed work inside. 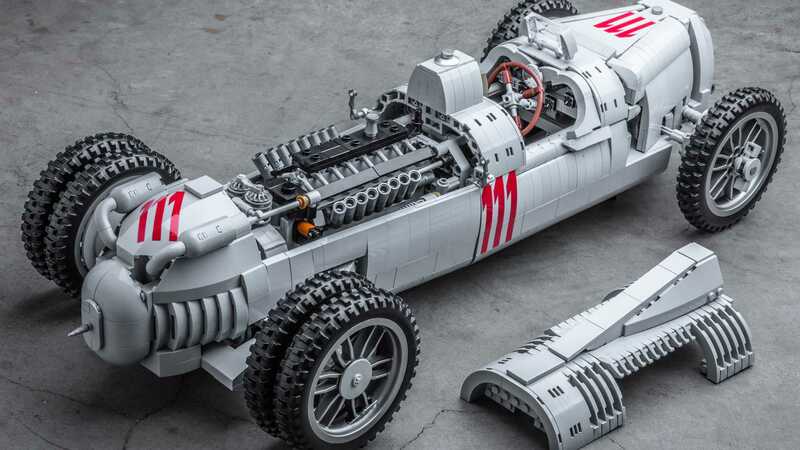 There’s a radiator up front, a gearbox at the back, and the tubular chassis is even period-correct underneath it all.Lego Ideas isn’t just a place for creative builders to show off their projects. Each listing is given a chance to gain supporters, with extra time given to the project once certain milestones are reached. If a project reaches 10,000 supporters, it goes to a Lego review board for consideration as a proper Lego kit. Right now, this Auto Union has 1,289 supporters, which earned it 515 days. Frankly, we want to buy this thing and we’ve already thrown in our support. If you want to support it, the link below will tell you everything you need to know. We’ll definitely be keeping our eye on this one over the next year and a half, and we wish Alexandre the best in bringing this build to the world. Car of the Month: December 2016 - Let's Get Festive!